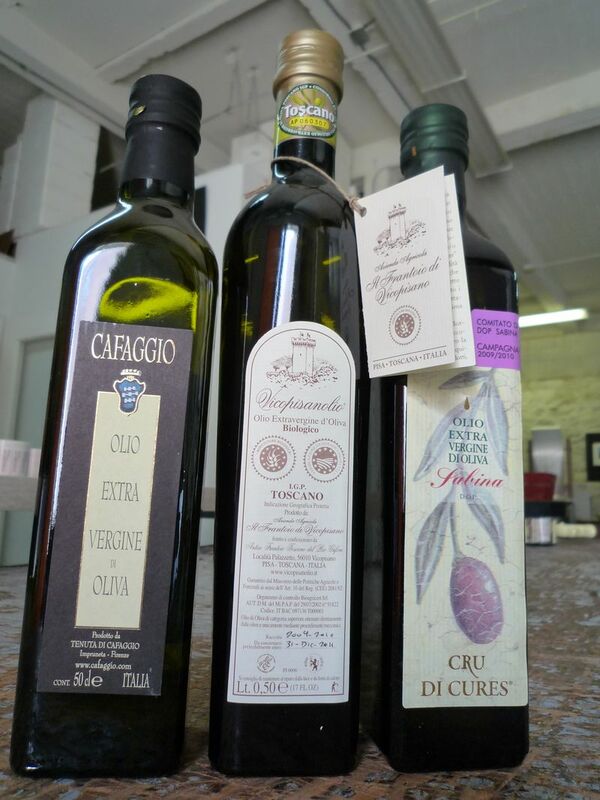 The EV Olive Oils: Cafaggio from Siena, Vicopisano from Pisa and Cru di Cures from Lazio performed very well at the Los Angeles International Extra Virgin Olive Oil Competition. They all received the Silver Medal. In our opinion, they all deserved the gold, but we understand. The 18 judges must have gotten distracted; in fact, it is very difficult to keep your concentration and gustatory buds when you taste 500+ oils! To Enrico, Nicola and Laura our sincere congratulations. We just read more dramatic news from Los Angeles!!! the LATimes (read the article) reports that “More than two-thirds of common brands of extra-virgin olive oil found in California grocery stores aren’t what they claim to be”. We are SHOCKED!!! Only two thirds? We thought MOST of the EV Olive Oil in the market are NOT EV Olive Oils. Trust your taste buds and your merchant! And remember, when the olive oil is cheap, it might be rancid! Next Post In Case You Were in Africa, Too, and Could Not Find Good Food! Thank you very mutch. I’m very glade for the silver medal in the 2010 competition in L.A.